These extensive caverns in the volcanic rock beneath Stonefalls were once used for unknown purposes by the ancient Chimer, but were abandoned by the Elves long ago. Now they are the haunt of Goblins and other denizens of the underworld. Fungal Grotto I is a group dungeon found in western Stonefalls. The cave is infested with goblins and dreugh, though the goblins are scared of something dark lurking deep within the grotto. 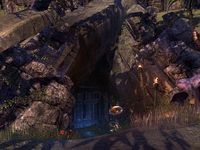 In this version, Vila Theran wants you to clear the path to a shrine hidden within the grotto. You can learn about its location from Mindil the Untested in Vulkhel Guard, Abzag the Monster in Daggerfall, or Kailstig the Axe in Davon's Watch. Its dungeon sets are Dreugh King Slayer, Spider Cultist Cowl, and Viper's Sting. Fungal Grotto Objective: Explore the Fungal Grotto. 5 items: When you deal damage with a melee attack, you deal an additional 70-6400 Poison Damage over 4 seconds. This effect can occur once every 4 seconds. 5 items: Gain Major Brutality at all times, increasing your Weapon Damage by 20%. When you kill an enemy, you gain Major Expedition for 8 seconds, increasing your Movement Speed by 30%. ​ Fungal Grotto I Conqueror 10 Defeat Tazkad the Packmaster, War Chief Ozozai, Broodbirther, Clatterclaw, and Kra'gh the Dreugh King in Veteran Fungal Grotto I. Catch of the Day 50 Defeat the Dreugh King in Veteran Fungal Grotto I, after invoking the Scroll of Glorious Battle. Veteran Dreugh Slayer 10 Defeat 50 Dreugh in Veteran Fungal Grotto I. Veteran Goblin Slayer 10 Defeat 450 Goblins in Veteran Fungal Grotto I.
Fungal Grotto I Survivor 50 Defeat Tazkad the Packmaster, War Chief Ozozai, Broodbirther, Clatterclaw and Kra'gh the Dreugh King in Veteran Fungal Grotto I, without suffering a group member death. Fungal Grotto I Assassin 50 Defeat Tazkad the Packmaster, War Chief Ozozai, Broodbirther, Clatterclaw and Kra'gh the Dreugh King in Veteran Fungal Grotto I, all within 15 minutes. Timer starts when any player enters the tunnel after the first group of Goblins. 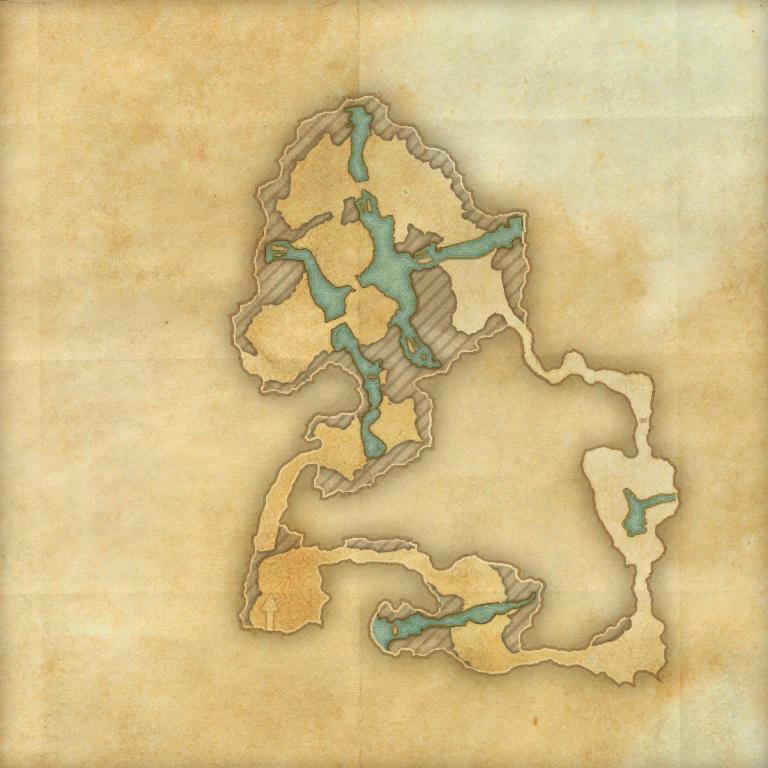 Before dungeon scaling was introduced in Update 5, Normal Fungal Grotto was designed for levels 12–15, and Veteran Fungal Grotto was designed for Veteran Ranks 1–5. Prior to Update 12, Fungal Grotto I was only available in Normal mode, and Fungal Grotto II was only available in Veteran mode. These were named Fungal Grotto and Veteran Fungal Grotto respectively. This page was last modified on 18 September 2018, at 22:35.